Get 50% OFF when you and your BFF both book in for a spray tan! We all feel better when we’ve got a tan, right? But maintaining sun kissed skin can be time consuming work let alone damaging to your skin! 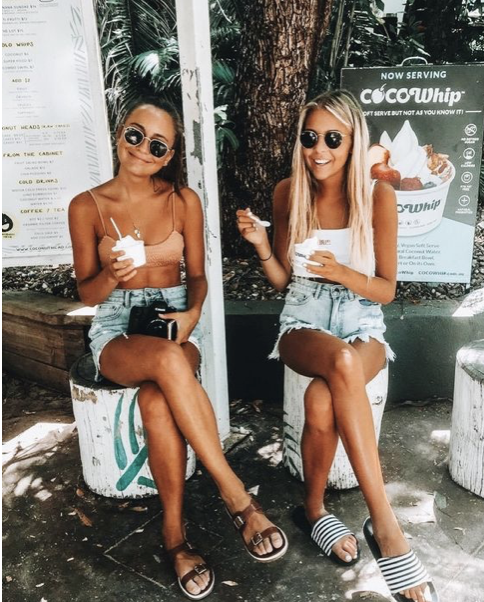 At Blush + Blow we offer Sienna X spray tanning, helping you to achieve a flawless tan all year round; leaving you feeling bronzed, confident, but also at ease knowing your skin hasn’t been damaged by the sun or dangerous UV rays. Spray tanning is great alternative to fake tanning yourself a home, which lets face it can be a bit of a bane! Not only is someone doing the hard work for you, but worrying about your tan going patchy and looking uneven will be a thing of the past, as the Sienna X spray tan fades evenly and naturally just like a real tan! Ideal for holidays, festivals and any extra special occasions – the award winning Sienna X spray tan will last up to 10 days, as long as you keep your skin moisturized, so you won’t need to worry about having to reapply whilst your having fun. As a treat from the glam squad here at Blush + Blow, we’re offering you and your bestie 50% OFF your sprays tans when you book in together. To become beaut bronzed besties, call the salon today!